Because new appliances can be expensive, people often keep their old ones as back-ups or to use elsewhere—vacation homes, donate to friends or family, etc. The only problem with holding on to the old ones is that they can take up a lot of space and add clutter to the home. One way to handle this is to use a self storage facility. 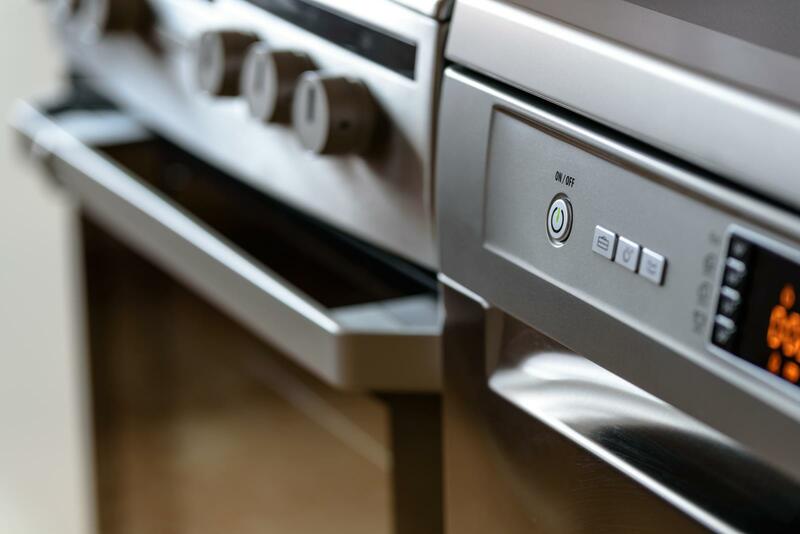 You will want to follow a few simple guidelines for appliance storage, though, to avoid rust, mold, or any other damage due to improper storage. #1: Self-clean with a one last cycle. If you are storing a clothes washer or a dishwasher, you might want to run one more cycle through the empty machine with a cup of bleach or white vinegar instead of detergent. Cleaning the machine like this reduces chances of mold or mildew growth once the appliance is no longer being used. Be sure that any hoses, tanks, tubing, or any other internal parts are free of water and other fluids that can lead to mold or mildew. Dishwashers, refrigerators, microwaves, conventional ovens, grills, and other kitchen appliances are likely to have food remnants, especially on the inside, that can attract bugs. For refrigerators, in addition to all inner surfaces and compartments, be sure to scour the defrost pan (found behind or underneath the refrigerator). For anything that uses water—dishwasher, washing machine, etc.—be sure to clean and wipe dry the rubber seal around the door to avoid mildew. You might need to use a scrub brush or even a toothbrush on greasy surfaces. Be sure to clean out intake areas, such as the lint filter on the clothes dryer. Appliances such as air conditioners and dehumidifiers should be wiped down on the outside and you should make sure insides are free of any condensation. Once any traces of food are gone, it is still a good idea to make appliances bug-resistant. Avoid possible infestations by using a preventative insect spray after thoroughly cleaning. Store glass shelves and similar items separately. Be sure to wrap them well in paper or bubble wrap. Anything with finishes should also be wrapped, either in blankets or bubble wrap. Mark them as fragile and be sure not to stack or lean anything on them. Also, remember that refrigerators should not be moved or stored on their sides—be sure to keep them upright. Keep doors closed with strong tape for transport. If the appliance has a delicate finish, you might want to use blue painters tape or something similar to avoid leaving a residue or marring the surface. Use the tape to move the appliance, then carefully remove it once it is situated in the storage space. When loading a truck or van with items headed for storage, be sure to load the larger, heavier appliances last onto the vehicle. You can then remove the appliances first and store them toward the back of the storage unit. This will give you space near the front of your storage unit to store those items that you may use from time-to-time or that you may want to move out of storage sooner. Especially in the case of refrigerators, ovens, and anything else that can trap moisture, be sure to prop the door open to properly ventilate the inside of the appliance and to help avoid mold and mildew. To keep odors away, put an open box of baking soda inside. Moving and storage companies sometimes warn against using the insides of your appliances for storage, but under certain conditions this can actually be a great way to maximize storage space. Be sure the insides are clean and dry, that doors are propped open, and that only lighter items (including fragile ones) are stored there. Avoid overfilling and storing heavy items inside your appliance. Sheets, tarps, and other breathable materials are the best to use for shielding your appliance from any dirt or dust. They will also help to avoid scratches or dings when moving appliances (or when other items are placed around them). San Clemente Self Storage is the perfect place to store your appliance and for other storage needs. Sometimes, though, it is hard to figure out what to store and what to get rid of to clear your house of clutter. For some advice on this topic, please click on the next Storage Tip section which discusses, "Decluttering".